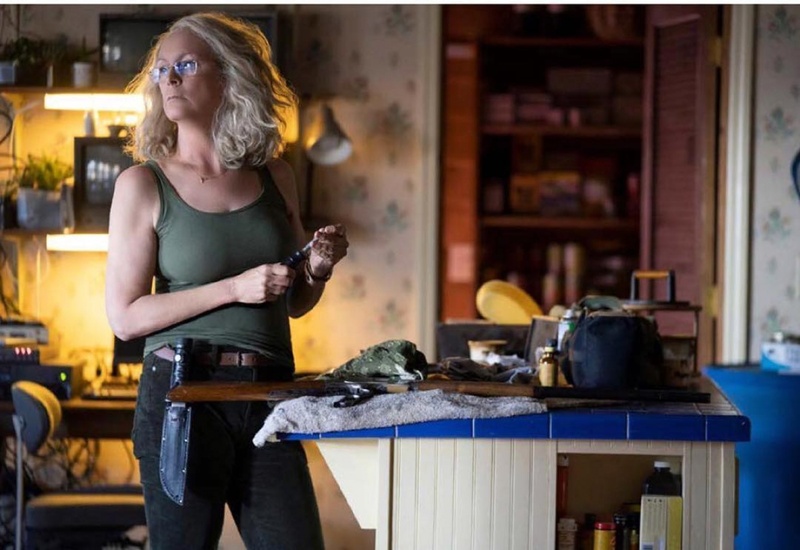 Jamie Lee Curtis' latest horror movie "Halloween" is No. 1 in North America, earning $77.5 million in receipts, BoxOfficeMojo.com announced Sunday. Coming in at No. 2 is "A Star is Born" with $19.3 million, followed by "Venom" at No. 3 with $18.1 million, "Goosebumps 2: Haunted Halloween" at No. 4 with $9.7 million and "First Man" at No. 5 with $8.6 million. Rounding out the top tier are "The Hate U Give" at No. 6 with $7.5 million, "Smallfoot" at No. 7 with $6.6 million, "Night School" at No. 8 with $5 million, "Bad Times at the El Royale" at No. 9 with $3.3 million and "The Old Man & the Gun" at No. 10 with $2 million.